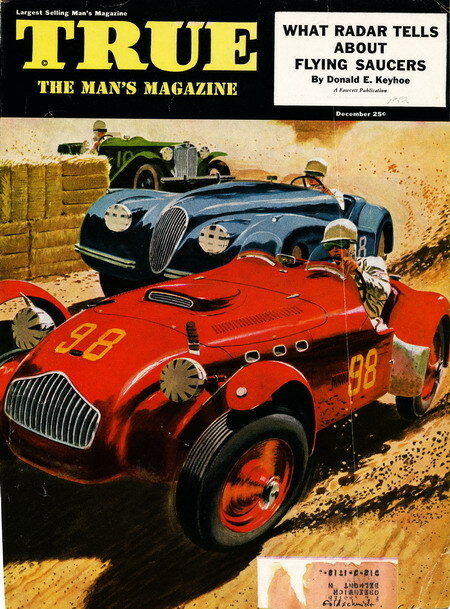 Today we're starting a new feature highlighting the old magazine covers that have featured Allards. If you're interested, most of these old magazines can be found on Ebay or in a good used book store - if you're lucky. Our first cover, comes from "True, the Man's Magazine" which features Erwin Goldschidt's J2, presumably racing at Watkins Glen. Unfortunately all we have is the cover of the magazine so we don't know what stories are within or even what year it was published in. All I know is, the cover art is amazing!